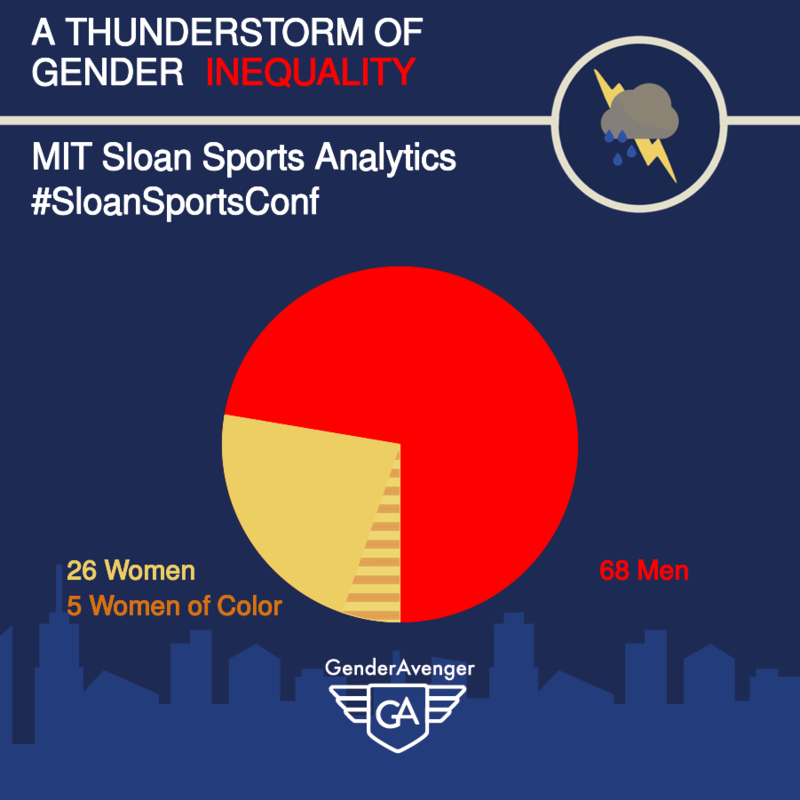 In March, members of the sports elite will gather in Boston for the MIT Sloan Sports Analytics Conference. Sports analysts, business leaders, and technology experts will come together to share industry successes, discuss the most challenging topics of the day, and continue identifying new ideas. Conference organizers state that the conference is “firmly committed to innovation” and that each year they “have added new elements to push the larger analytics conversation forward.” Can you guess what they are not firmly committed to and what they have not added to the conversation? Women! The GA Tally is available on desktop, iOS, and Android. Last year, Stephanie Goodell broke down the numbers for us. The speaker list was made up of 84% men and 16% women, only 6% of whom were women of color, and while the balance has shifted slightly for 2019, it’s still really bad. Only 28% of the speakers listed so far are women, with 19% of them being women of color. We’re not sure why MIT Sloan can’t get this right. Maybe next year they should focus their analysis on equality.